The purpose of this research has been to examine the relationship between the flood accounts of the Gilgamesh Epic and Genesis. Three possibilities of relationship are commonly discussed: (1) that the Epic derived from the Genesis account; (2) that the Genesis account used the Epic as its source; and (3) that both accounts depended on a common source. The first possibility—that the Epic account derived from the Genesis account—has been discounted in this research because of the dates of the extant copies of the Epic and Genesis. The original compilations of the Epic are older than the original compilations of Genesis. Few scholars would consider this theory credible. Therefore, this writer has investigated the remaining two popular theories about the relationship between the Epic and Genesis. If one does not accept the Genesis account as an historical record, there is no escaping the fact that an heroic effort has been undertaken to make that account appear to be historical. The second hypothesis—that the Genesis account is dependent on the Epic—has significant difficulties. 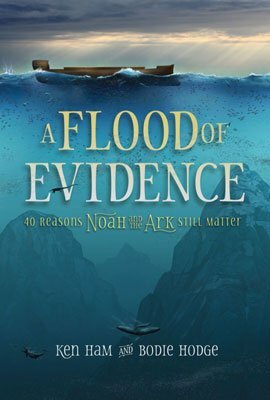 According to this hypothesis, the author of the Genesis account would have needed to revise the Epic as follows: change the concept of god from polytheism to absolute monotheism and add the strong, consistent moral motivation for the Flood by establishing God as righteous and gracious; write clear descriptions that show the Flood as universal in order to make the whole account consistent; change the character of the survivors to portray them as righteous and worthy to be saved; specify the survivors as four couples who are capable of replenishing the human race; add their descendants’ genealogy which agrees with the secular historical records; add the details about animals being included in pairs of every kind for the preservation of the created kinds; improve the source of the Flood from only rain to rain and underground water sufficient to cover the whole world; specify the duration of the Flood from only six days and nights and unspecified days to more than one year which is adequate for a universal Flood; redesign the structure of the Ark from the unstable cube to the ideal safe design for floating; change the order and the kind of the birds of the test flights in order to make them more logical; specify seven days interval between each test flight; and add the account of the freshly plucked olive leaf which is botanically realistic and more informative than the Epic. Even if Moses had used some source materials which are not extant today, the process of his gathering and compiling them to write Genesis would have been guided correctly by God.5 Thus, after investigating the differences between the Gilgamesh Epic and Genesis, it seems reasonable for this writer to conclude that the flood account in the Epic is the story which lost historical accuracy and was distorted, whereas the Genesis Flood account is the accurate historical record of the Flood event.